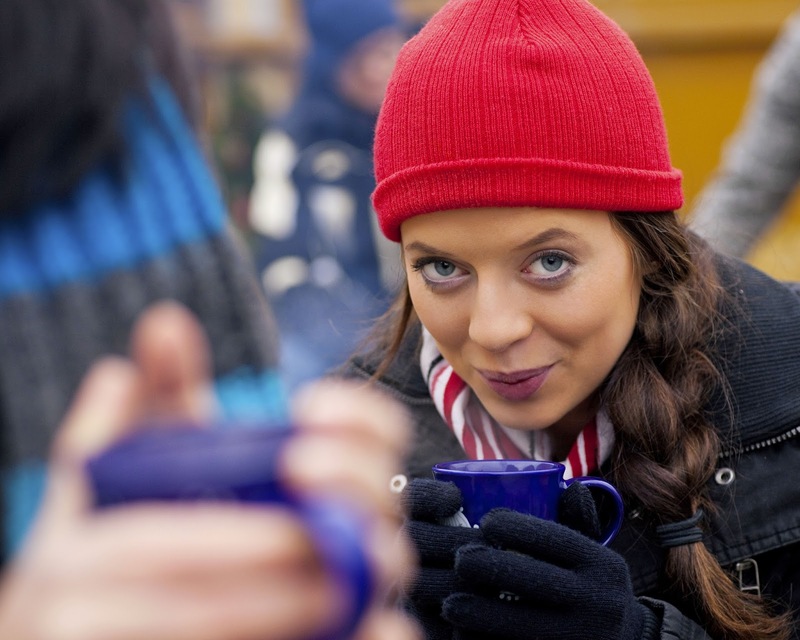 Your nose is your best guide on your culinary adventure through Germany. Trust your nose. It will never steer you wrong. The smells wafting across a crowded market square, along a busy sidewalk, or next to the Bahnhof (train station) in any German town or city will call to you. YOU MUST HEED THE CALL! Here's your chance to reconnect with some cherished old favorites, but also delight your palate with something bold and new. Your options are endless and you'll likely run out time before you run out of choices. 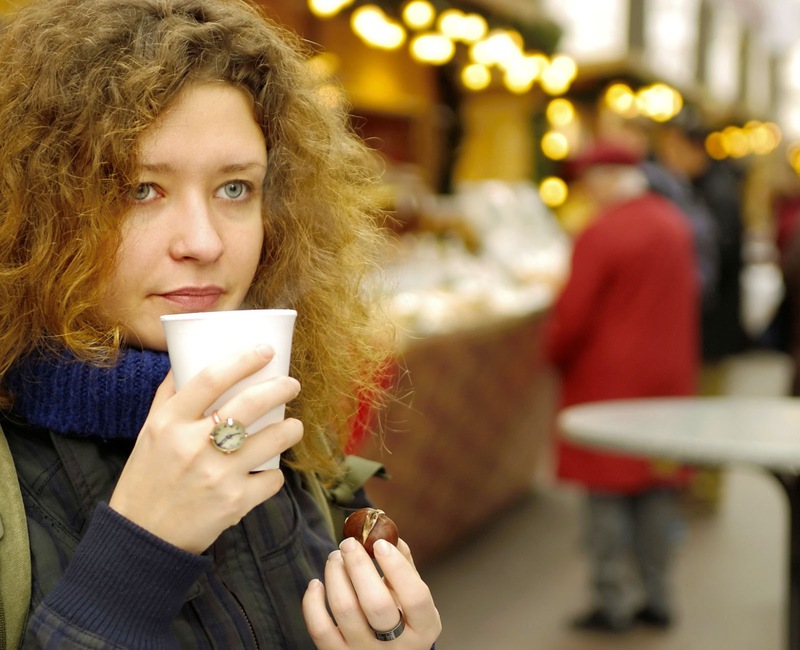 Explore the rich ethnic cuisine of Europe on almost every German street corner. Immigrants from around the Mediterranean and from almost every European country brought their food specialties with them after WWII and Germans happily embraced the diversity of flavors and cooking techniques. 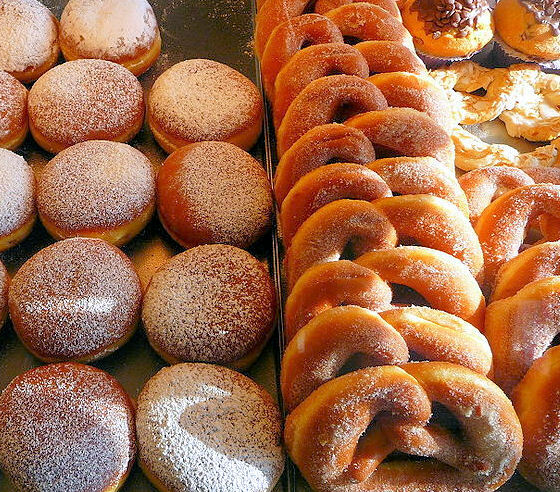 There's an art to German street food culture, but don't worry; it comes naturally. Licking sticky fingers without shame, wiping your greasy chin with the back of your hand, or shrugging off the occasional food-stained clothing all go with the territory. And it's a small price to pay for the full German experience. You'll be sharing your food stories with friends for years or until they finally buy their own plane ticket to Germany. 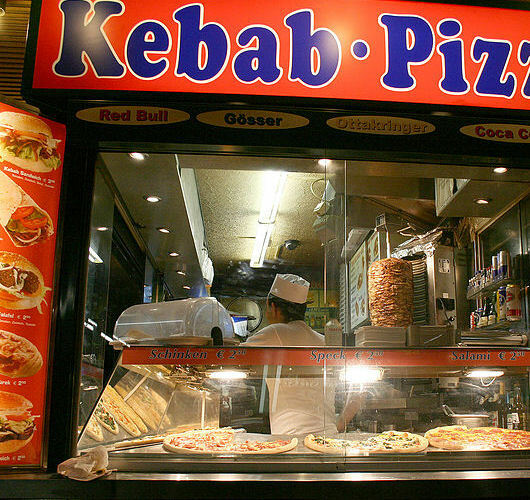 PEDESTRIANS in Germany have an answer to America's drive-though fast food craze: "Schnellimbiss". The word "schnell" means "fast" and "Imbiss" means "snack" or "bite". 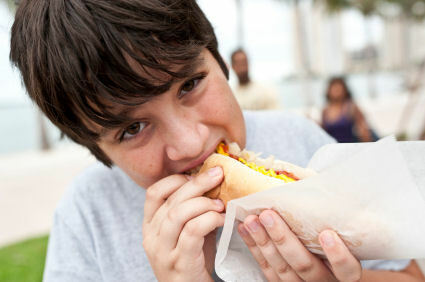 However, servings are often large enough to satisfy a big appetite. Here's the difference between a Restaurant, an Imbiss, and a Schnellimbiss. Restaurants have a waitstaff and range from upscale and pricy to pub-like and affordable. An Imbiss is a casual dining concept, typically without a waitstaff, in a building with indoor or indoor/outdoor seating. 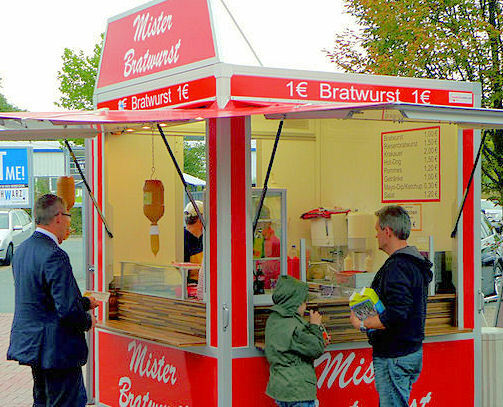 The "SCHNELLIMBISS" can take the shape of a tiny hut, an attractive kiosk, a portable stand, an outdoor walk-up window, a well-equipped food truck, a motorized cart, or a humble pedal-powered hot or cold box. But, it's not unusual to find a Schnellimbiss housed in a permanent structure within a train station, an airport, or a shopping mall. To be successful they only require three key ingredients: crowds of hungry people, well-prepared food, and a health safety certificate from the governing authority. BERLINER, etc. (Krapfen, Beignet, Fettgebäck, Quarkkäulchen, Mutzenmandeln, and lots more) Various versions of fried dough including the famous jelly doughnut. BREZEL (may also be known as Bretzel, Brezl, Brezn, Brezerl, Breze, and other regional variations). It's the classic pretzel. 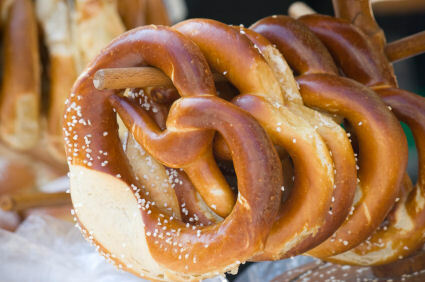 LAUGENBREZEL is a popular variation of the traditional pretzel made from wheat flour, malt, salt, yeast and water. "Süße" BREZEL is a sweet pretzel that is typically coated with cinnamon sugar. 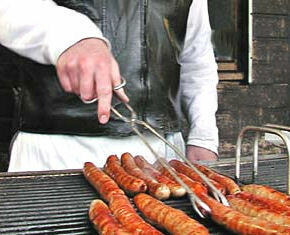 BRATWURST is a large category of sausages, including variations made from pork, beef, veal, poultry or combinations of two or more. Textures vary from course to super fine. Some sausages are smoked. The size, shape, and taste of the sausage can vary greatly by region, but you are not likely to be disappointed by any of them. Don't be afraid to try them all. Bauernwurst, Thüringer, Frankfurter Rindswurst, Würzburger, the legendary small Nürnberger Bratwurst "Drei im Weckla", and many more. CURRYWURST a tasty pork bratwurst, served whole or sliced. One of the most popular street foods of all times, it's topped with Currysauce or Curryketchup and an extra dusting of curry powder. 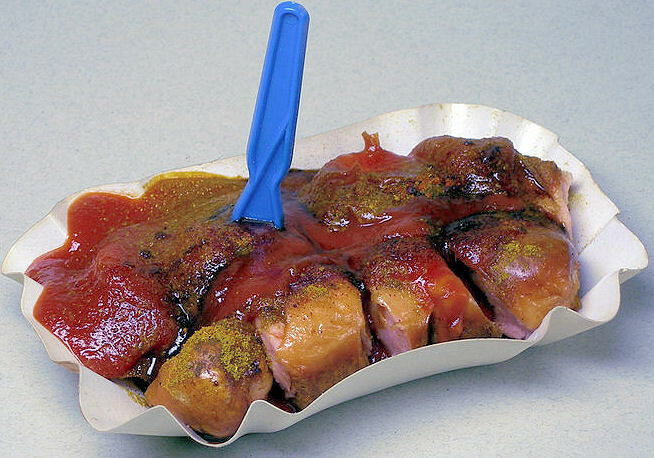 Ask who invented Currywurst and you are likely to get a lively debate, with most giving credit to Herta Heuwer. In 1949 Herta concocted a sauce from ingredients supplied to her by soldiers in the British sector of Berlin. It's now a staple in Germany. DÖNER KEBAB (Kebap) is seasoned meat (lamb, veal, beef, chicken or a combination of two or more meats) that is slow-roasted on a vertical, rotating spit. 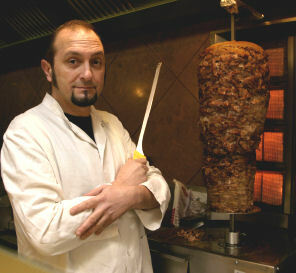 The meat is sliced and wrapped in a flat-bread, pita, or roll. Toppings can include tomatoes, peppers, cabbage, onions, lettuce, and pickled cucumbers. Typically credited to Turkish immigrants, this dish also has variations unique to any number of countries in Europe, like the Greek "Gyro". FISCHBRÖTCHEN (Fischsemmel) A crusty roll with any number of delectable seafood toppings, including marinated herring, Bratherring (battered and Fried fish that has been pickled), crab, smoked salmon, eel, and other smoked seafood. Endless choices, often topped with fresh onions. FLAMMKUCHEN a specialty of the Alsatian region of Germany close to the border with France. The bread dough (often in a rectangular shape) is covered with Gruyere cheese, creme fraiche, thinly-sliced onions, and bacon. It's baked, pizza-style, in a wood-fired oven until the topping bubbles and the crust is brown. GEBRANNTE MANDELN (Gebrannte Nüsse) Street-roasted almonds or other nuts are almost impossible to resist. Crunchy, chewy, and warm, with the perfect combination of sugar and cinnamon, makes them the perfect snack as you stoll down the street of almost every German city and town. EIS (Eiscreme) is a street favorite. 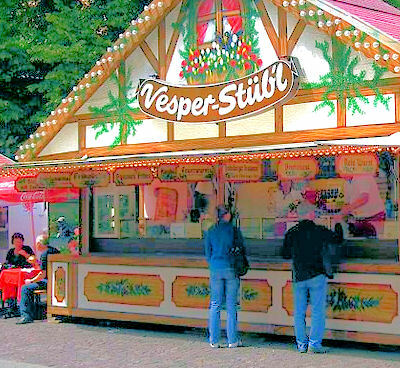 Many Eisdiehlen or Eiscafes (ice cream shops) serve an Italian specialty that combines sugar, salt, egg-white, lemon juice and a variety of fruits and nut flavors, as well as vanilla and chocolate.. It's a refreshing alternative to the cream-based varieties that are equally popular. Cafes serve ice cream specialties that are creative and delicious. The famous Black Forest Cherry bowl (Schwarzwälder Kirsch Schale) combines ice cream, whipped cream, cherries, chcolate and Kirschwasser. And then there's the delightful "Spaghettieis" where vanilla ice cream is extruded through a "spaghetti" press and topped with a "tomato sauce" of strawberry puree and "Parmesan cheese" of ground nuts. POMMES FRITES (Pommes, Fritten) is a popular street food all over Germany. 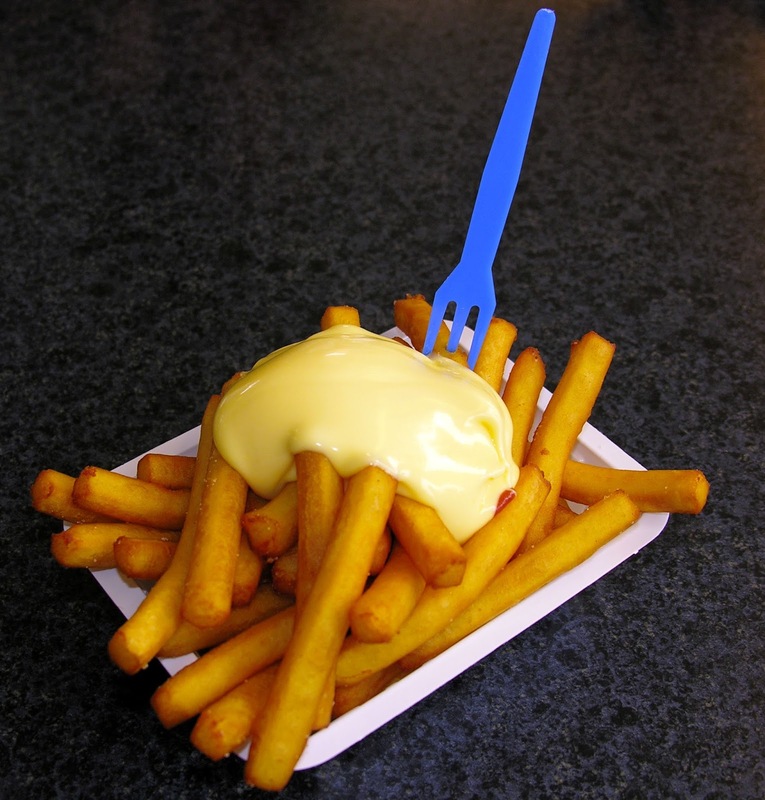 It is often served with mayonnaise ("mit Mayo") or with Fritessaus, which is similar. But tomato ketchup is equally popular. For those who just can't decide they can opt for both, by asking for "rot-weiss" (red-white). REIBEKUCHEN (Kartoffelpuffer, Reiberdatschi, Kartoffelklitscher) A potato pancake, often served with apple sauce. WEISSWURST A mild, finely-ground sausage that is typically simmered gently and served with a sweet, Bavarian mustard (süßem Senf). The casing is not eaten. This video demonstrates "How to eat Weisswurst". WIENER (Wienerl, Krenwürstchen, Frankfurter Würstel) A long slim sausage with a snappy casing that is gently simmered.